An update to Vol. 3, p. 917. Numerous salvage excavations were conducted on Tel Lod during the 1990s. The stratigraphy of the mound differs from area to area, but it appears that, except for a few short gaps, it was occupied from the beginning of the Pottery Neolithic period, through the Bronze and Iron Ages, and intermittently in later periods to the present. The site is located at a distance from major trade routes and was never fortified. The earliest settlement appears to have been situated at the northern part of the mound, alongside the streambed. During the Middle Bronze, Late Bronze, and Iron Ages, the settlement moved about half a kilometer to the south. In the Roman and Byzantine periods, the mound was largely abandoned and settlement concentrated to its south, in the area of today’s Old City of Lod. 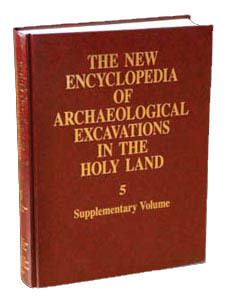 Excavations at Tel Lod were conducted in 1995 on behalf of Tel Aviv University by H. Khalaily and A. Gopher, and later on behalf of the Israel Antiquities Authority: in 1996 by E. Yannai and R. Badich, in 1997 by E. van den Brink, and most extensively in 2000 by E. Yannai and O. Marder.